We know that the customization layer on Samsung devices tries to move as far away as possible from the standard Android Stock experience, simply to stand out from the pack. 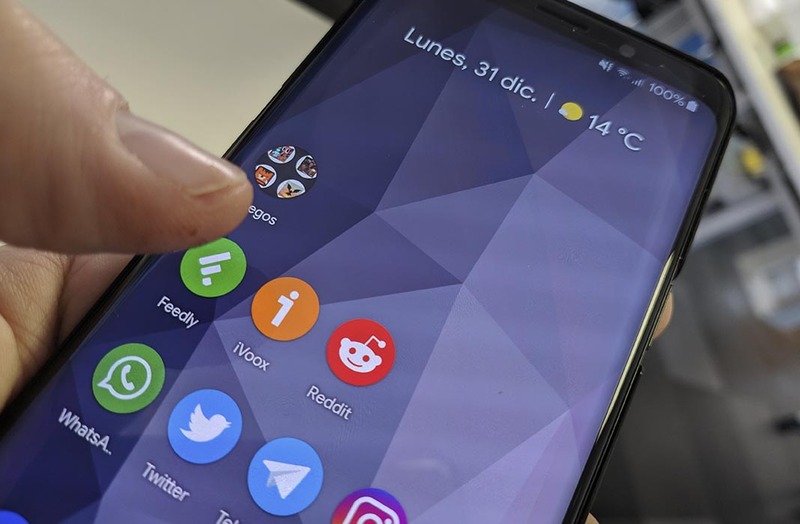 Luckily, in case you’re not entirely in love with the Samsung style, there are plenty of ways to get rid of the whole look and extra features included on Galaxy phones without having to use root or take any risks. Using the themes store on Samsung is a good way to customize the Samsung launcher, but given that the next step is to change it, what we’re interested in is changing the colors of the interface for more recognizable ones. The free ‘Pixel’ theme changes the menus to the well-known gray and turquoise combination from Google, and also gets rid of the horrible browsing buttons in the lower bar for more familiar ones. The sacred Rootless Launcher from Amir Zaidi is the solution to all your problems. 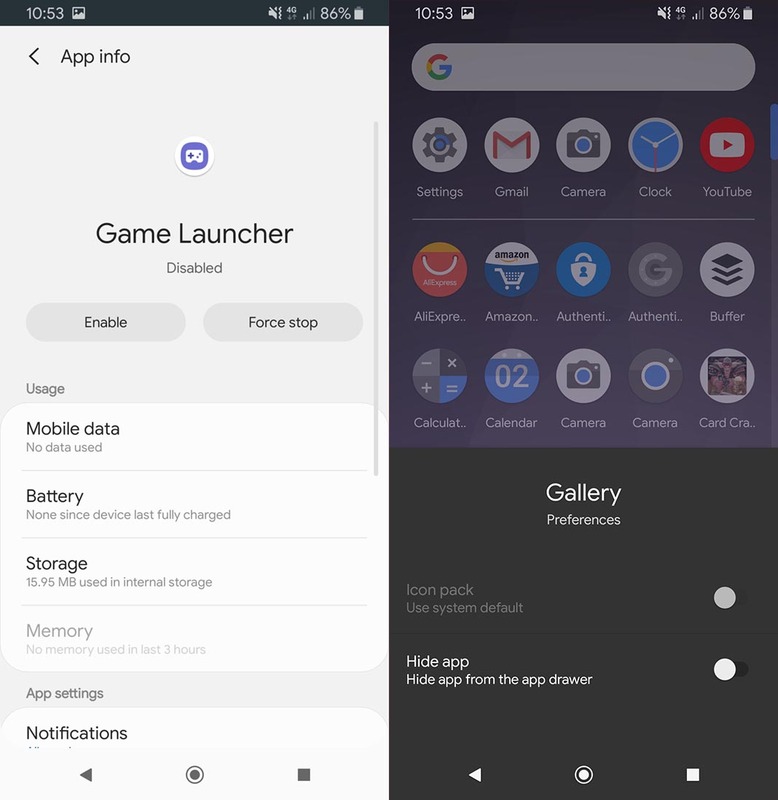 It’s a launcher that modifies the one included by default in the Google Pixel to make it compatible with most of the smartphones on the market. It brings with it the vertical app drawer, the weather and calendar widget and the integration with Google Discover. All you have to do is install and use it as the default launcher in Settings > Applications > Default apps. The great part is that it will maintain the colors in the settings menu applied in the theme from our first point. Bad news: most of the apps that come preinstalled on the device can’t be deleted, but you can disable a few of them, specifically, Excel, Facebook, Game Launcher, LinkedIn, OneDrive, PowerPoint, and Word. To find out if you can do so, you’ll long tap the icon in the app drawer and tap the information button. If the disable button is active, you know what to do. If you’re also going to change the system tools for others (calendar, clock, weather) it could be a good idea to hide these apps so you don’t have duplicates in the drawer. To do that, you just have to long press on the icon and tap the pencil icon, where you’ll see the option to Hide app. Next, you’ll just have to install the replacement apps that, in the case of Google, are mostly all available as independent apps. 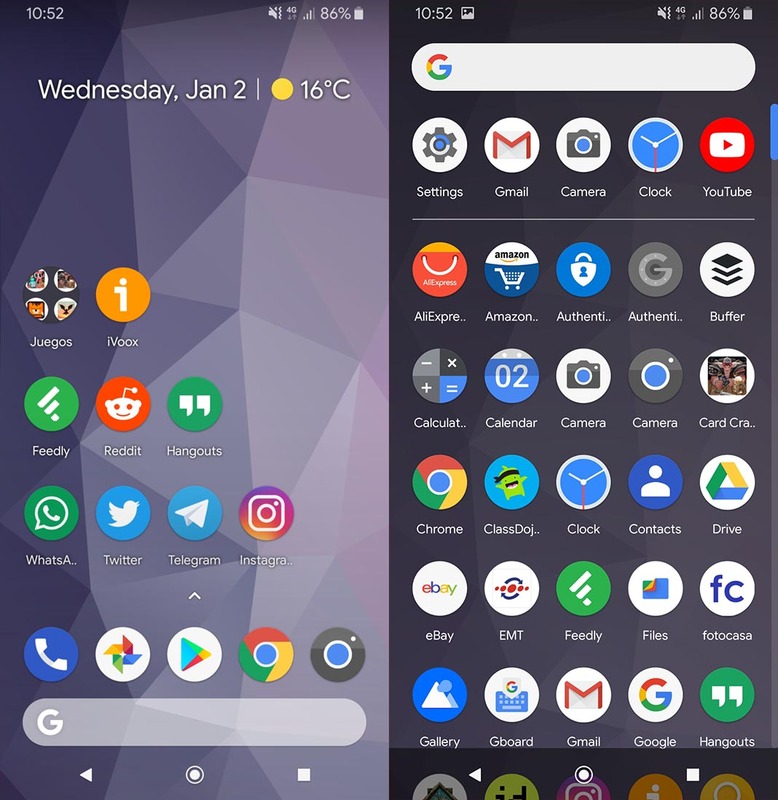 Rootless Launcher incorporates a useful feature that forces the icons to be shown with a round look if they’re adaptable, being the perfect excuse to change the system icons for ones that go better with the new look you want to use. The ones from Nougat were already nice enough looking, so Pixel Icon Pack Nougat works perfectly. 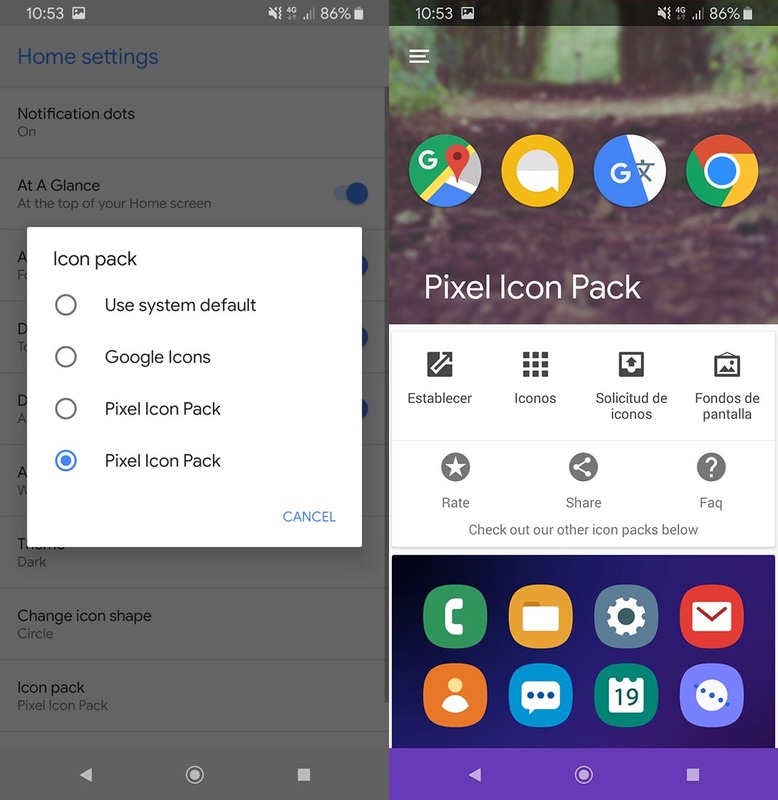 Once you have the APK installed, you’ll have to go to the launcher’s settings menu (long tap on the desktop > Home screen settings) and choose the pack in the Icon pack section. The S9s include a physical button that’s used EXCLUSIVELY to call on Bixby, the company’s virtual assistant. So if you don’t use it, then it’s just going to waste. 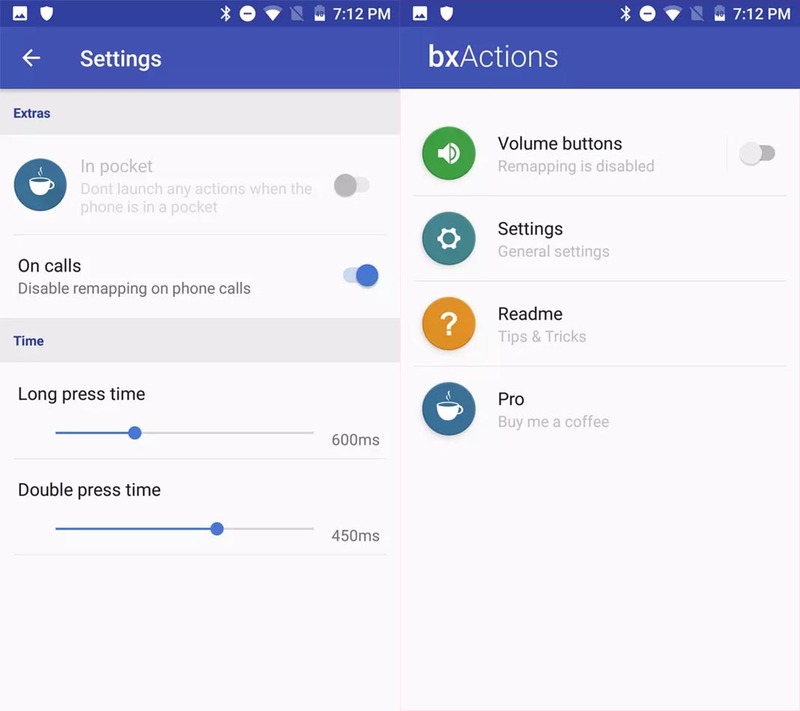 The app bxActions lets you program the Bixby button to run any other app, whether it’s to launch Google Assistant or any other feature available among 30 different options. 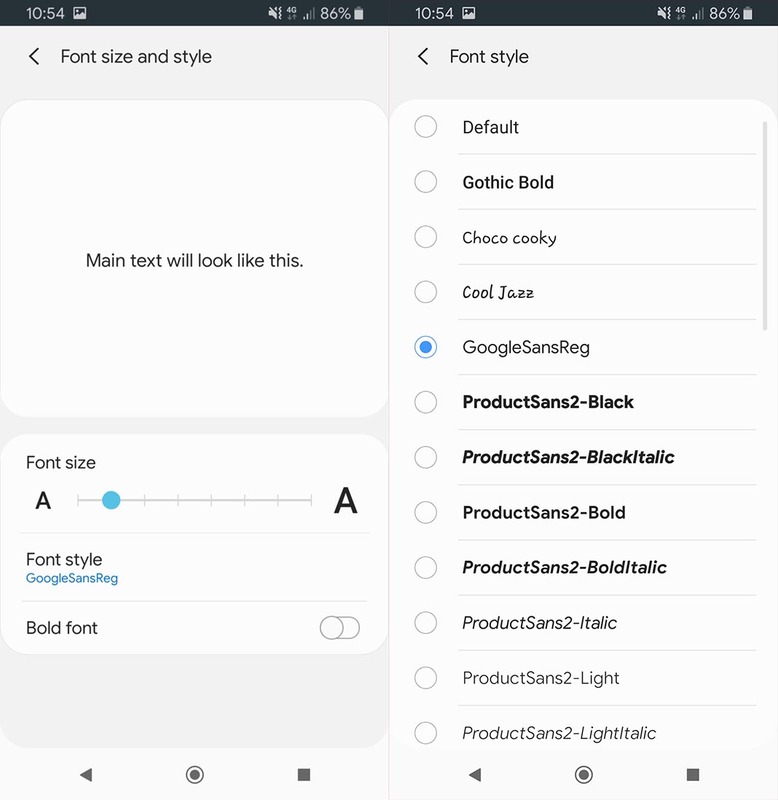 The Google Sans font can be applied on Samsung smartphones. An XDA user has extracted the font from Google Pixel and it can be installed via APK. To activate it after installation, you just go to Settings > Display > Font and screen zoom > Font type and choose GoogleSansReg. 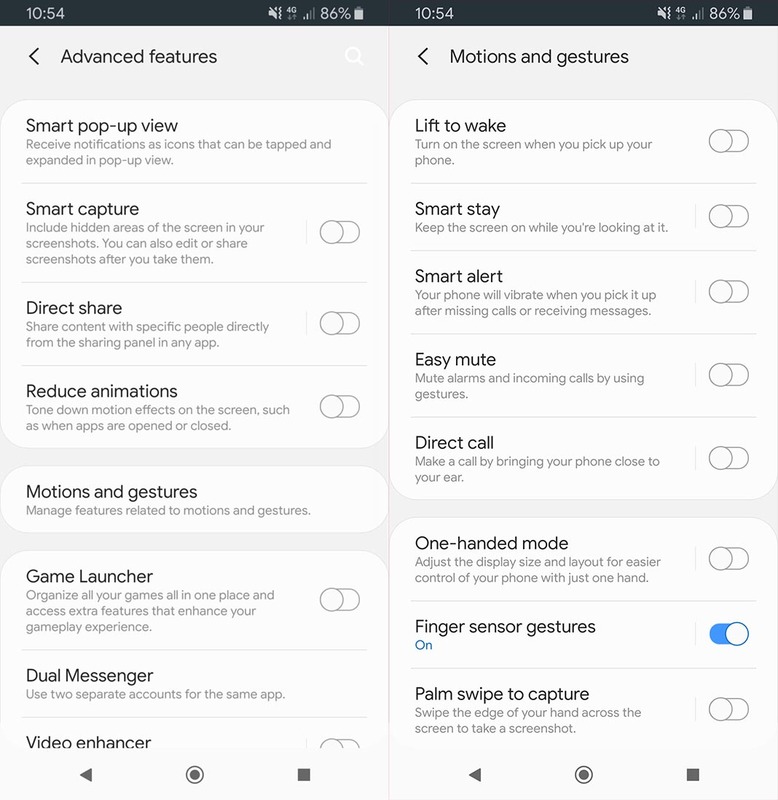 Samsung includes a ton of additional features that you can disable at any time since they’re totally optional and in most cases, hinder the use and make the whole collection of preinstalled features more complicated. In Settings > Advanced settings you can turn off all these features. You can also prevent the device from making backups by deactivating the option in Settings > Accounts and backups. The Always on Display system is activated by default, so the screen stays on at all times, showing the clock and thus, using more battery. In Settings > Lock screen you can disable this option. And since you’re already there, you can change the screen to make it look more like Android Stock. In Clock style, you’ll select the third option and choose the color white for the font. In Shortcuts you’ll get rid of the two icons in the lower part of the screen if you don’t want anyone to be able to access these features when the device is locked. 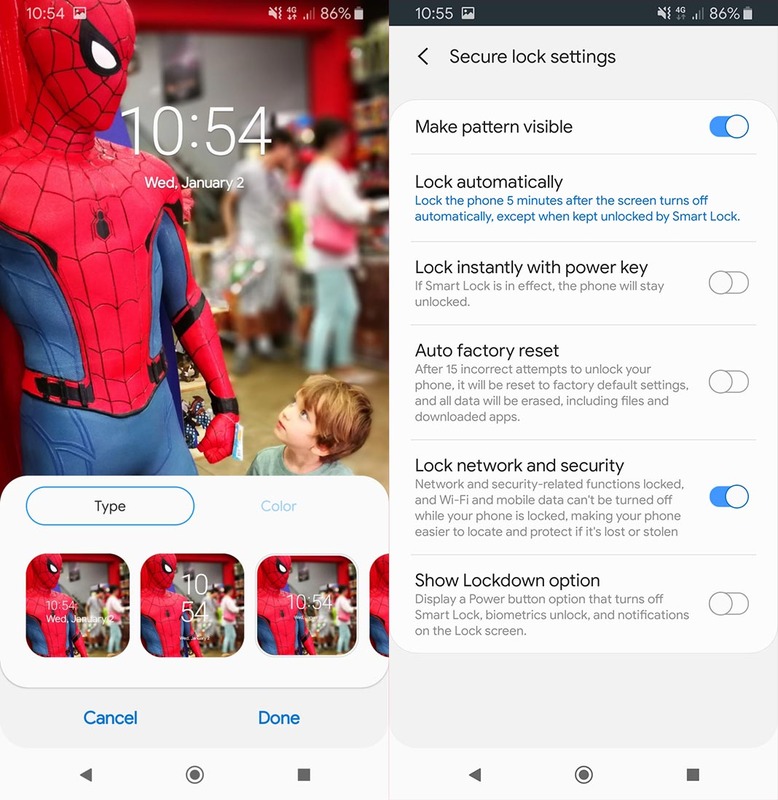 In FaceWidgets you can decide what you want to be shown when the screen is locked. 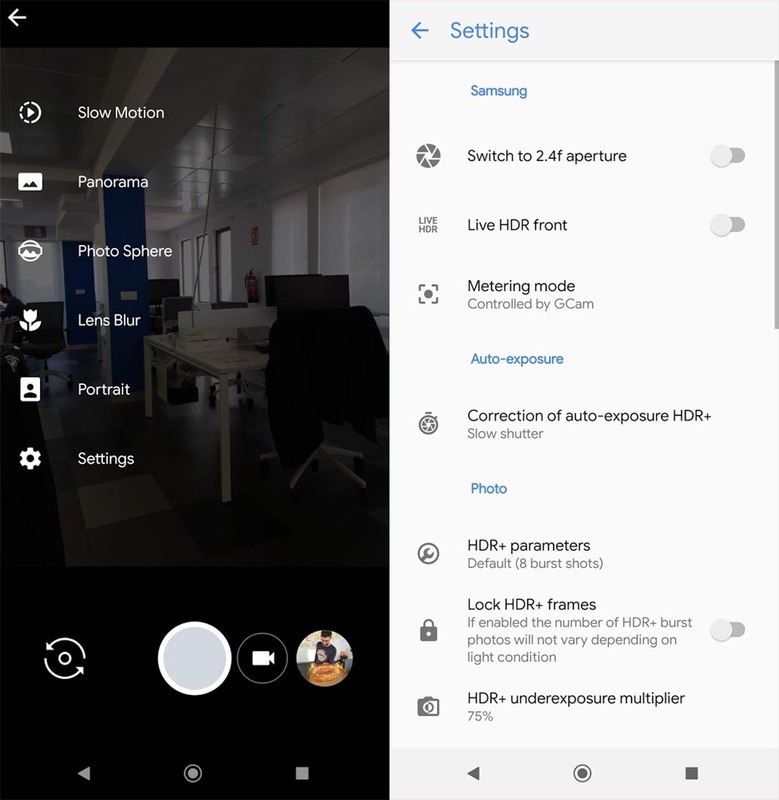 The camera app included by default isn’t bad, but the software developed by Google to take advantage of the unique Pixel 3 camera is on a whole other level. 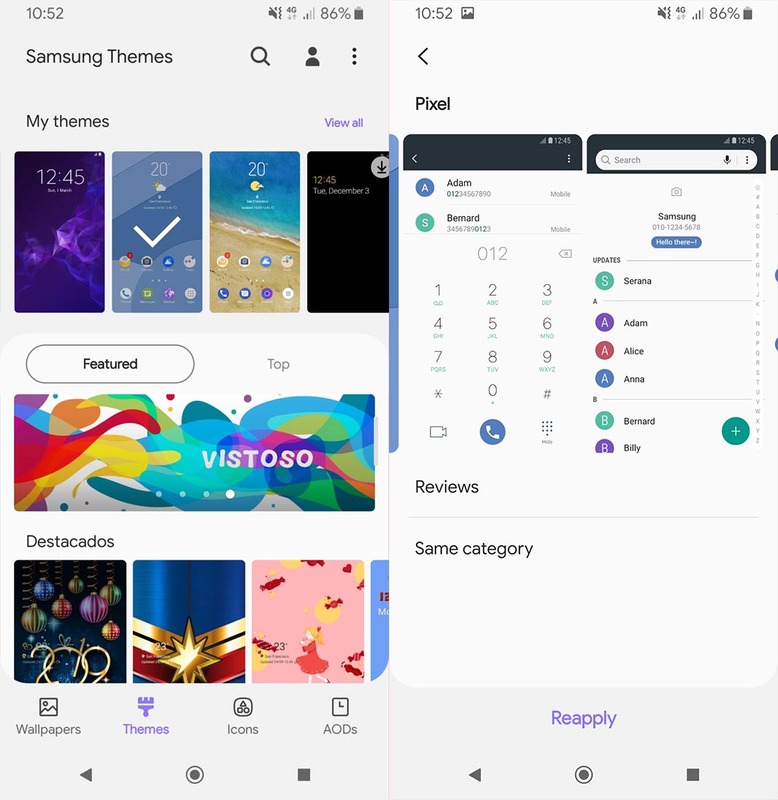 An XDA user has managed to make it compatible with Samsung S9 devices updated to Pie with One UI. The use of the HDR and blur effect are considerably improved compared to the default one, so there are few excuses not to use it. Once you’ve reached this point, and given that you’ve gotten rid of all the Samsung services possible, you can pull the plug completely by unlinking your Samsung email account from the device. If you do this, you’ll lose the possibility to use the company’s backup system, device finder, or use the biometric data, but given that you intend to use the services from Google or third-parties, there’s really no need to keep them. And if you regret your decision, you can always login again, no harm, no foul.